Erzullie’s First Look: Holiday 2013 event is tomorrow (October 19, 2013, Saturday, 6pm-9pm at DOME, Eastwood City, Quezon City) and we are so excited to serve our fellow Erzulliestas during the event! To be honest, this is also a little bit emotional for Berna and I as this collection is the last collection of the year. It’s the right cap for a fabulous Erzullie 2013 year, which you girls are also responsible for! Your continued business with us is the one that propelled us to where we are right now and into our future plans! There were a lot of changes this year, both personally and business wise, and that is why the name of the collection this year is “Diamond”. 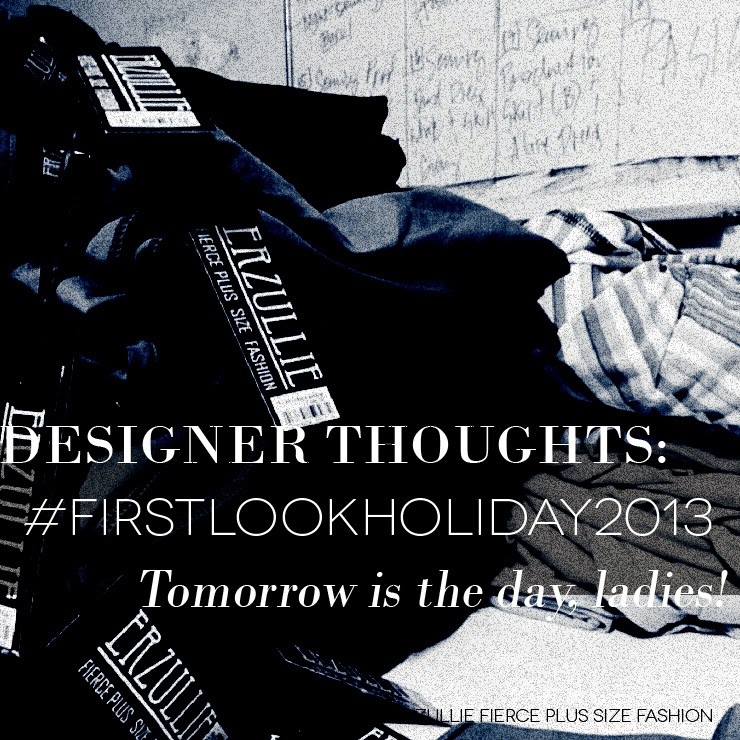 We’ll explain further during the #FirstLookHoliday2013 event and soon enough post it on the blog. But for now, our thoughts about the event? I think this time it’s going to be good --- pre-event, during and after. I expect the best things to happen and a lot of service for fierce plus size women. Hope you ladies would love it as much as we do! See you at the event ladies! Shopping alert! 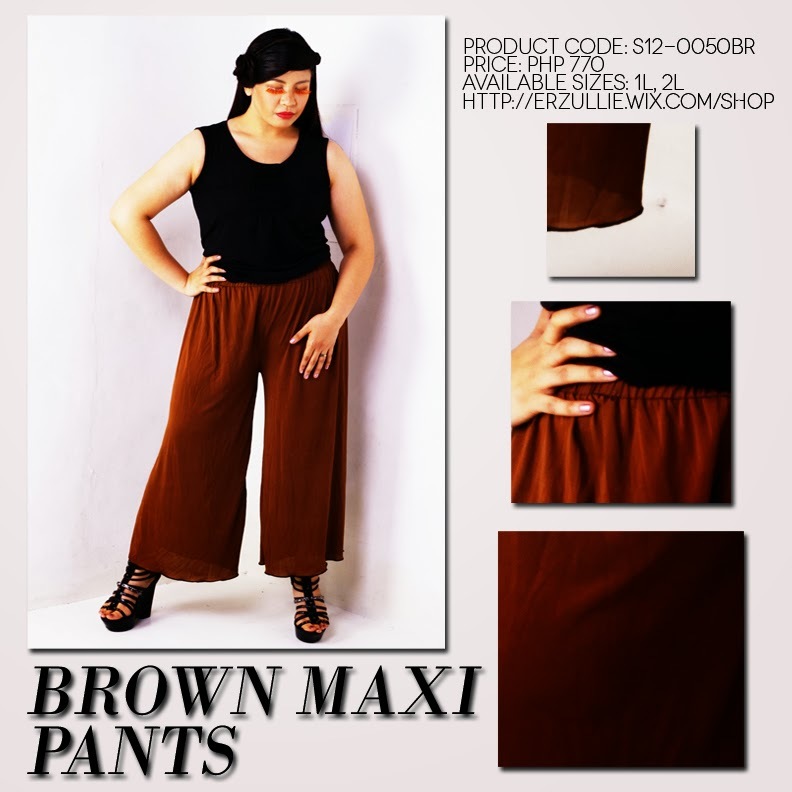 Want comfortable casual? This plus size brown maxi pants is perfect for both casual and even formal events! If you want comfortable and effortless elegance, the soft, cool and light fabric of this garment will definitely put both you and your style at ease! This is the story of Erzulliesta Aida (not her real name). 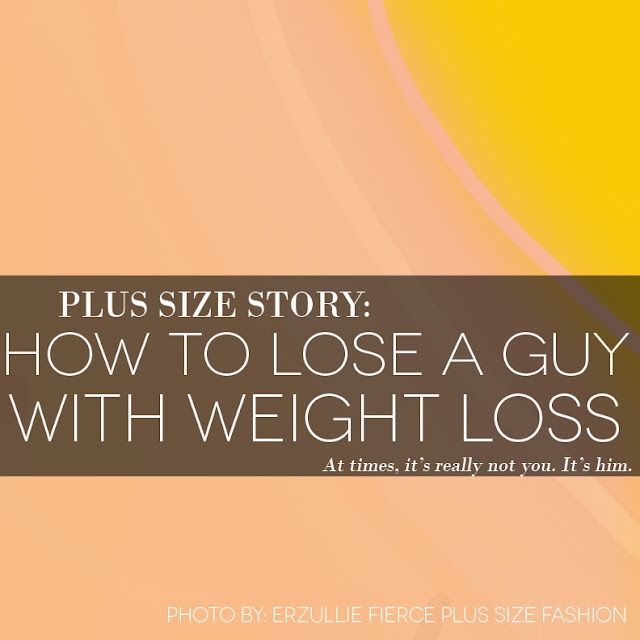 She shares us a story of why choosing the right reason to lose weight is important. Choosing it for love is good but make sure that it's really worth it. Story is edited for brevity. I have met “Buddy” at work and we bonded over “G”, the girl whom he has been having mutual feelings with since college. I was in denial at first but, I knew I was falling in love with him. Unfortunately, I knew that he did not feel the same way. Then I met G. She was smart, funny and beautiful. I was stunned. After that, I wanted to look just like her. I started to do some diet and exercise. Buddy helped me through this. Soon enough after almost a year, I was able to shrink down and I was so happy with the way that I looked! But my happiness doubled when Buddy suddenly professed his love for me. I was so excited and I immediately said, “yes” to him! For 6 months I was in bliss. He was still my gym and diet buddy. Then their family reunion came and his ex-girlfriend, “Solenn”, arrived. When Buddy saw her, he was all over her. I knew in my heart that he was about to leave me. So, I have hit the gym and dieted harder, thinking that this will improve my looks even more to make him stay with me. Within 2 months, I was able to shrink down more but with great costs. My health began to suffer and it showed. After that, Buddy broke up with me through chat saying that I no longer looked good as I used to. I cried and got really depressed, but because of my friends and family, I was able to get over it. In the end, I know some women love to change for their men but, choose wisely on who deserves this option. In my case, I should have just lost the guy and not the weight. PLUS SIZE EVENT: #FIRSTLOOKHOLIDAY2013 TOMORROW! 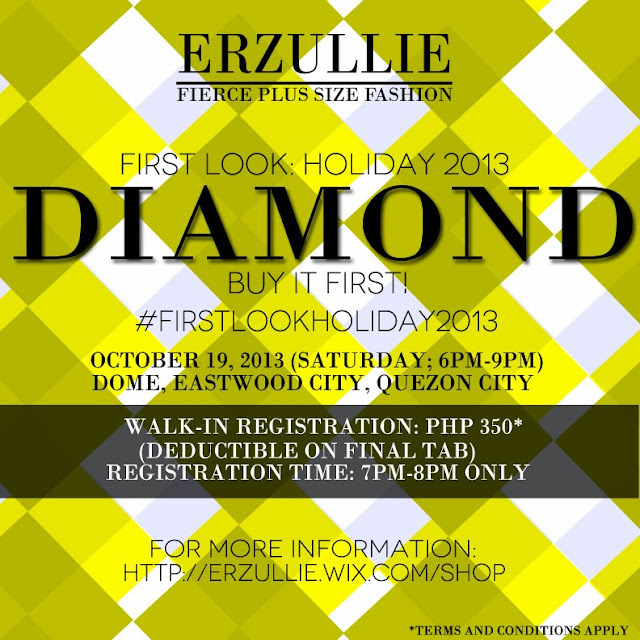 We are so excited to serve some fresh fierce plus size fashion at Erzullie’s First Look: Holiday 2013 event tomorrow! Get ready to see and buy the collection first before its public release!